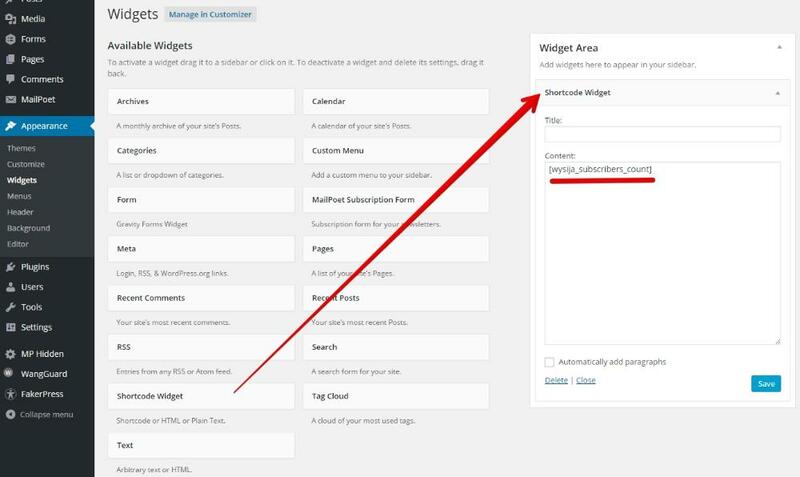 You can personalize your newsletters by including the first and/or last name of your subscribers. This code means: put the first name. If the subscriber doesn't have a first name, put the last name. If the user doesn't have either, insert "subscriber". If your first name is John Doe in your subscriber profile in MailPoet, and you send the newsletter to yourself, you will see this: Howdy John, how are you today? If the subscriber doesn't have a first name, this will show instead: Howdy Doe, how are you today? Finally, if the subscriber only has an email address, it will show this: Howdy subscriber, how are you today? Send yourself a test newsletter to try it. Howdy [user:firstname | default:subscriber], how are you today? Hello [user:firstname | default:Comrade] [user:lastname | default:of our ship]! Your own custom shortcode: read this article for more information on adding your own shortcodes.